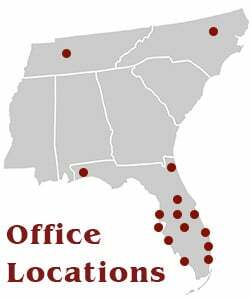 OUR RETAIL FENCE DIVISION focuses on serving homeowners throughout Florida. We specialize in vinyl and ornamental aluminum fencing because of its high durability, low maintenance and elegant look, but because we are a full service fence company, we also install wood fencing, chain link fencing and railing to our residential customers. Unlike most companies, we use trained and workers compensation insured company employees rather than subcontractors so not only is your fence installed properly but it comes with the peace of mind. 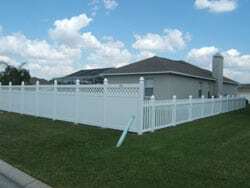 We sell and install fencing from Jacksonville down to Miami, over to Clearwater everywhere in between, including Orlando. Fence installation is our passion. Let us show you why at Superior Fence & Rail, Quality Matters! Contact us today for your next installation project. For consumers that choose to install their own fence, we offer DIY pricing for material only on vinyl, aluminum, wood and chain link fencing. With nine locations throughout the Florida, Superior Fence & Rail is one of the largest fence companies in the state and our buying power provides us with some of the best material prices anywhere. We pass that savings on to you so that you can get a quality fence at a low price. Contact us today for your fence order! To learn more about the fences we carry and how we construct them, click here.